The Granola Chronicles: obsessed. part two. Happy day-after-the-election, my friends! How was your election night?! We thoroughly enjoyed ours...even popped open a bottle of champagne. A wonderful Tuesday night, indeed! Other than the election, I feel like this week has just been...blah. Maybe it's because I had a huge event for work on Friday, and now I'm wrapping up all those details (budget items, donations, database updates, acknowledgments letters) that just aren't as fun as picking out menu options, cocktail choices, invitation designs, etc. Oh, the stages of event planning! But anyway, here are a few things that I've been loving lately. The "Unofficial White House Wine List" from Wine Folly. Yes, in the midst of the political rants from others on Facebook yesterday, I posted this article. Someone had to break the tension on FB (and I just really love wine)! It's now my mission to find these wines! These almonds. THESE almonds, people. You know those Lay's BBQ potato chips? Of course you do. Well, these almonds taste exactly like them! Smoky, salty - they are quite addicting. I've been having them as a late-morning snack, and I just can't stop. Sarah Jio's new book, Blackberry Winter. I started this on my lunch break today and then lost all motivation at work in the afternoon because I couldn't stop thinking about it. I love books that just grab your attention - every last bit of it! Pumpkin Brulee? You read that right! 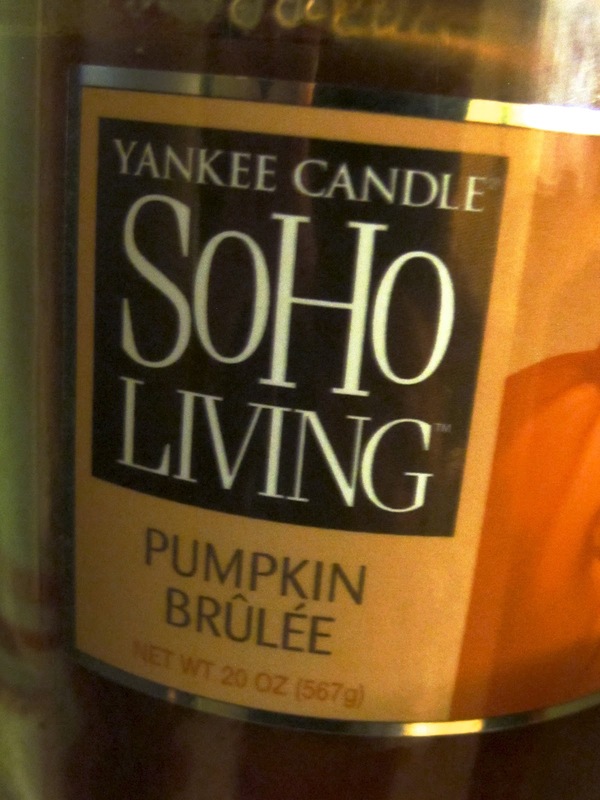 I know, it was just a few weeks ago that I was smack-talking Yankee Candle and their expensive goods. In my defense, I found this candle at TJ Maxx for $9.99 (compared to $18.99 - or something like that). So, win for me! Now, I must get back to my book! Have a lovely evening.